Important: It is necessary to record the remaining automatic transmission fluid life. If the replacement module is not programed with the remaining automatic transmission fluid life, the automatic transmission fluid life will default to 100%. If the replacement module is not programmed with the remaining automatic transmission fluid life, the automatic transmission fluid will need to be changed at 83000 km (50,000 mi) from the last automatic transmission fluid change. Using a scan tool, retrieve the percentage of remaining engine oil and the remaining automatic transmission fluid life. Record the remaining engine oil and the remaining automatic transmission fluid life. Important: The key must be in the LOCK position for a minimum of 30 seconds prior to disconnecting power to the PCM. This is to allow the PCM to store the Transaxle fluid life, transaxle shift adapts and Throttle Position Learned value into the EEPROM. Failure to wait the 30 seconds may result in a EEPROM reset and the Transaxle fluid life being reset to 0. Disconnect the IAT sensor connector. Remove the gusset (brace) from between the LH fender and the radiator core support by removing the 5 attaching bolts. Loosen the Intake Air duct clamp at the MAF sensor. Remove the Intake Air duct/air cleaner assembly. 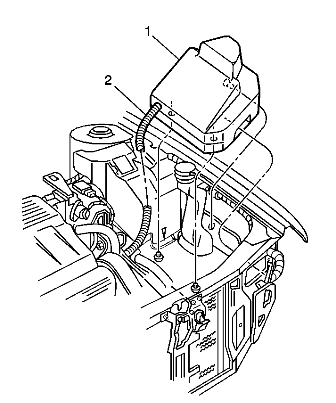 Lift the air inlet assembly (1) onto the radiator core support area by pulling firmly straight up. Open the air inlet housing (4) to gain access to the PCM (2). Loosen the connector attaching bolts. Disconnect both PCM connectors (1 and 5). If installing a replacement PCM the KS module will have to be transferred from the original PCM to the replacement PCM. 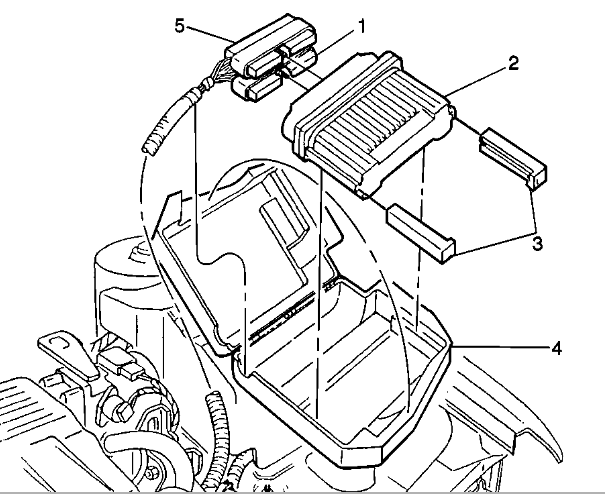 If installing a replacement PCM the PCM Isolators (3) will have to be transferred to the replacement PCM. Please note that subscription customers still must click the accept button so expert receives credit, however, you are NOT charged as you have a subscription. Thank you. what part do you need more detail on? the directions are pretty detailed on how to remove the pcm. I am having issues removing the ecm. 1995 Cadillac eldorado. do when my dashboard, speed etc doesnt get brighter in daylight.